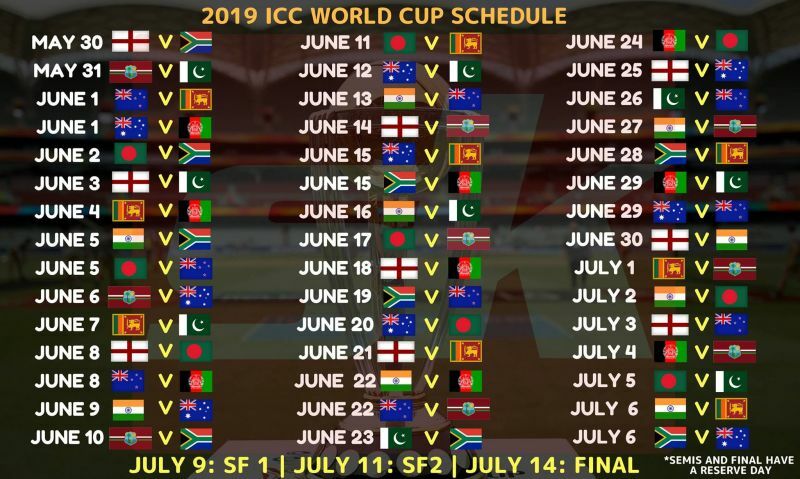 World Cup 2019 time table sees each side play nine matches with the top four sides qualifying for the World Cup semi-final. India's Cricket World Cup 2019 schedule sees them play in six of the 11 venues during the group stage of the tournament. 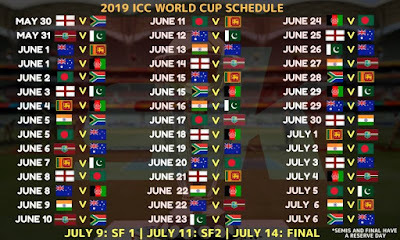 Their ICC World Cup 2019 schedule begins at Southampton. They then play Australia at The Oval before playing New Zealand at Nottingham. The game against Pakistan will take place at Manchester on June 16. India play two games apiece at Manchester, Birmingham and Southampton. They end their group stage with a game against Sri Lanka at Leeds on July 6.